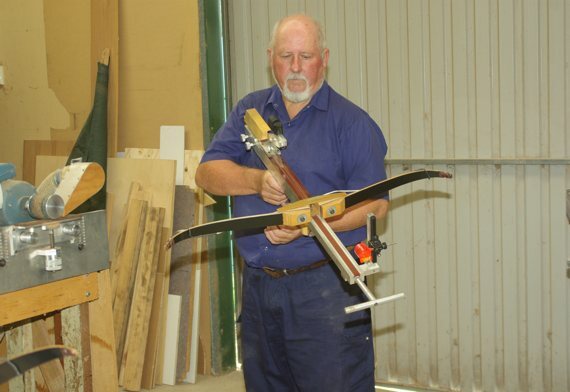 AUSBOW INDUSTRIES hand-crafts Contender Tournament Crossbows for international field crossbow shooting. These crossbows are made to order. Ausbow also handcrafts a reproduction medieval crossbow. Ausbow Industries also sells the high quality top performance Excalibur range of sporting and target crossbows. New legislation concerning crossbows has been introduced in most Australian States. In most eastern Australian states, crossbows have been moved from being CONTROLLED WEAPONS to now being PROHIBITED WEAPONS. THIS DOES NOT MEAN THAT THEY HAVE BEEN BANNED! This means that you now need a permit or a licence. PLEASE READ ALL THE DETAILS BEFORE PURCHASING.